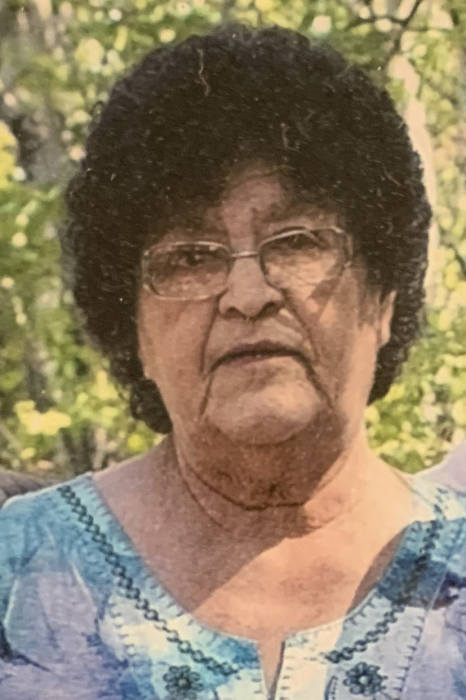 Mrs. Ruby Howse of Athabasca passed away on Sunday, October 28, 2018 at the Royal Alexandria Hospital. Ruby lost her battle with cancer at the age of 75. Ruby was born in Grosmont, Alberta on November 30, 1942 to Margaret and Tom Nipshank. She is survived by her life partner Dave McClure, two daughters; Maxine and Connie (Dan), two sons; Andy (Shannon) and Jason, one stepdaughter Iris (Jesse), and three stepsons; Riley, Shawn, and Dave, numerous grandchildren, two great grandchildren; Christiaan and Zara, one sister Frances, as well as numerous nieces and nephews, and many friends. She was predeceased by her son Bruce, her parents Margaret and Tom Nipshank, and her siblings Alice (Cliff), Evelyn (Pete), Gilbert, and Eddie. Friends and family are invited to pay their respects on Friday, November 2, 2018 between 7:00 P.M. and 9:00 P.M at the Athabasca Community Chapel. A Funeral Mass will be held at 11:00 A.M. at the St. Gabriel’s Roman Catholic Church on Saturday, November 3, 2018, with Father Paulson officiating. Those who wish, memorial donations may be made to the Royal Alexandria Hospital – 10240 Kingsway NW, Edmonton, Alberta, T5H 3V9.